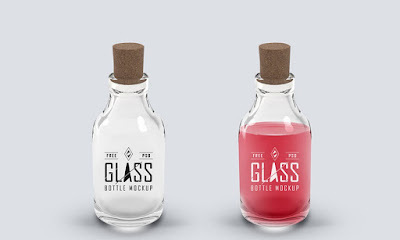 Friends, today’s resource is a versatile small glass bottle mockup in PSD format. The template comes in two realistic mockups, one empty bottle and the other with liquid filled. You can use the resource to showcase your label and product packaging design. Just place your design in the smart-object layer and edit background of the scene. You can even change the color fo the liquid in the bottle easily. Just expand the “Liquid Filled Bottle” folder in the PSD file and you will find the color fill layer to add your color of choice.